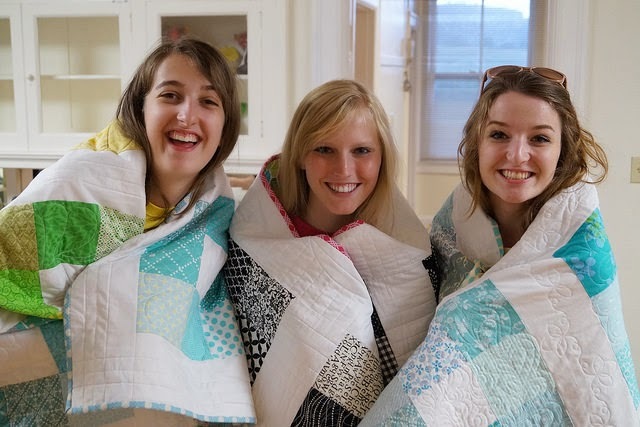 Somewhere in all the craziness of my life I had forgotten to blog about the three graduation quilts I made for my nieces this spring. All three graduated high school and are now off to various parts of the country for college. Yea for College Life!! It was fun to let them open them all together at our family reunion this summer. Since I was making three I wanted to go with a simpler design. 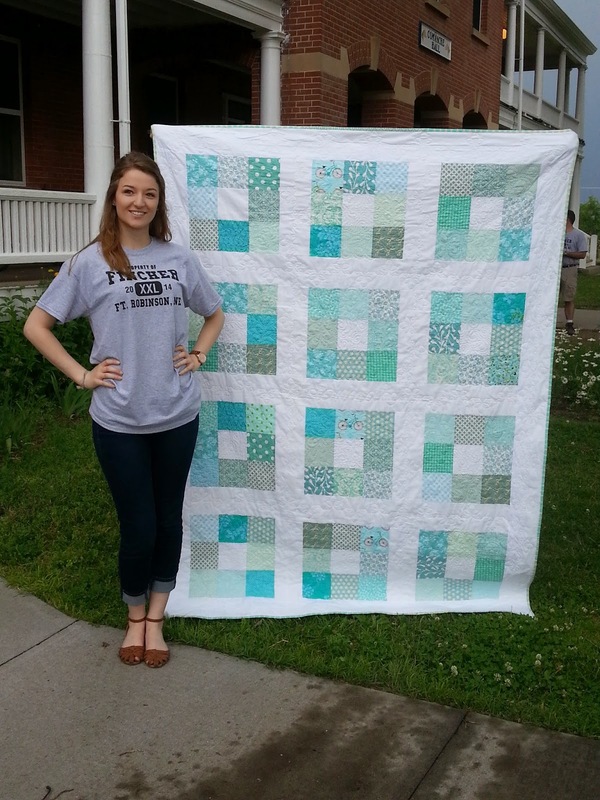 I made a quilt similar to these for my nephew's wedding a few years ago. It is by far the most re-pinned quilt that I've made. Anyway, you can see that the girls are all quite different with varying tastes, but I thought the simple, clean blocks would still suit each of them well. Turquoise (aka Tiffany Blue) for this choir loving lady. Lots of Brights for this orchestra, swim team, bilingual-speaking girl. 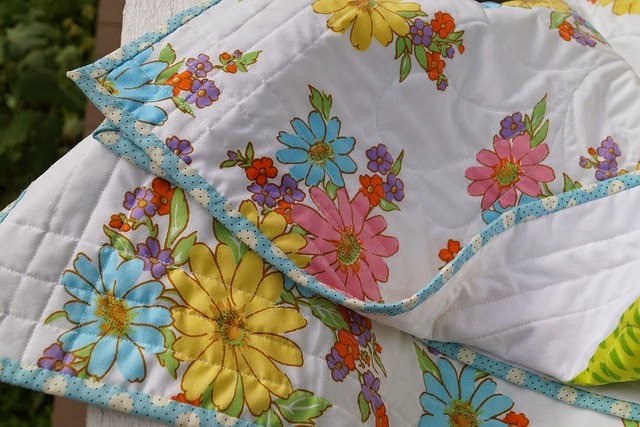 And an equally bright floral vintage sheet for the backing. Black and white and hot pink for this cross-country running animal lover. With contrasting colors on the back. 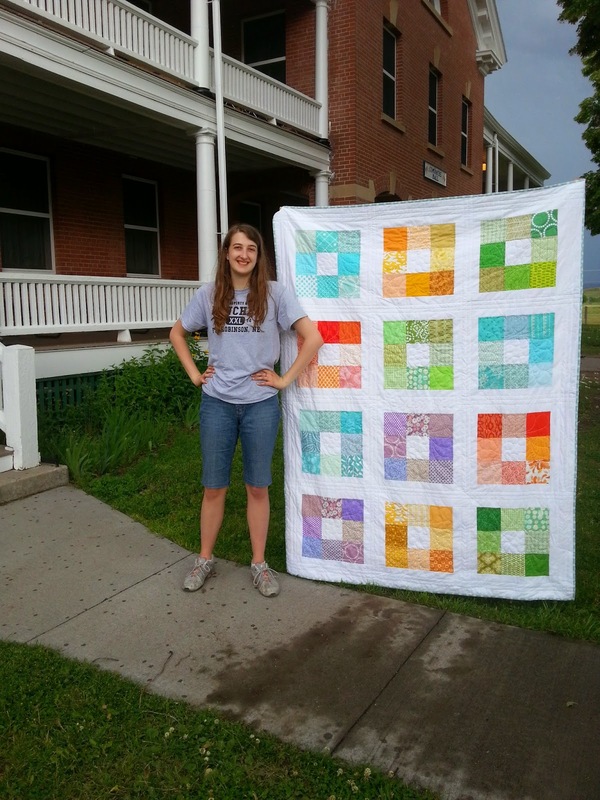 Definitely my favorite thing about quilting is giving my creations to others so they can feel loved! For these three it was no different. They are all bright, fun, happy girls who are ready to conquer their dreams. Here's to big adventures and catching your dreams! They did turn out so fun and pretty. L. is "saving" hers for college. I love all 3 of them! The easy design makes the prints pop - your nieces are lucky girls! How fun to be able to give each of them such a personal and unique gift. 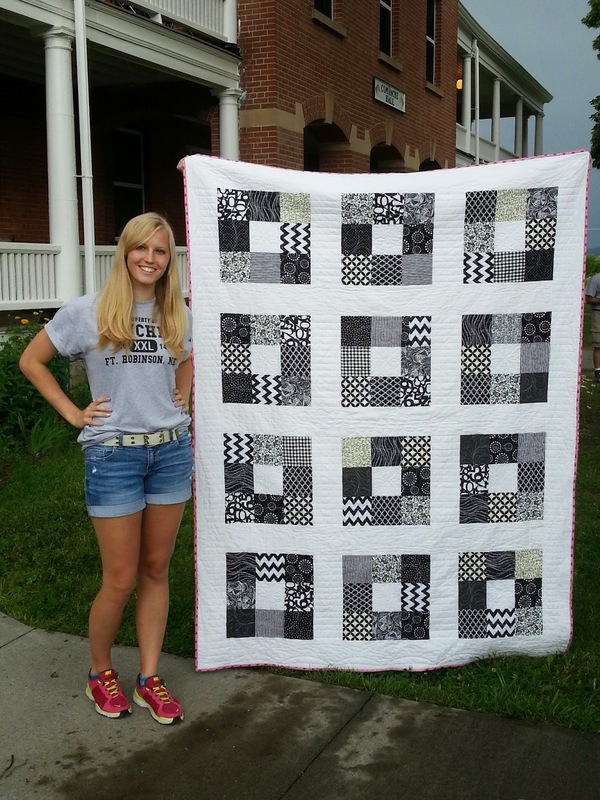 Wow, awesome quilts! I'm sure the girls appreciated getting them! All three are just fabulous. Nice! 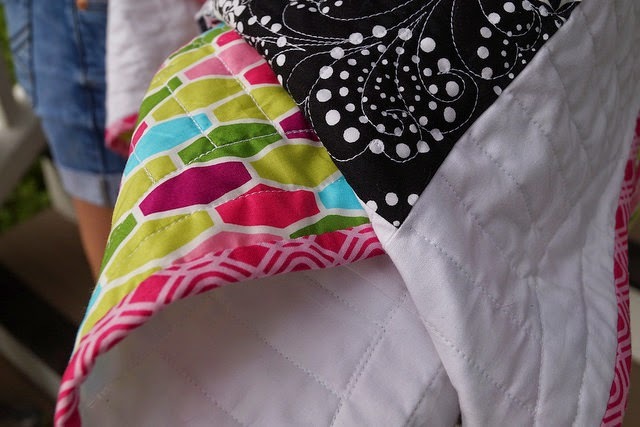 I get the most satisfaction from making quilts that I am giving away too! It's fun to think of what colours and designs the person will like the most. 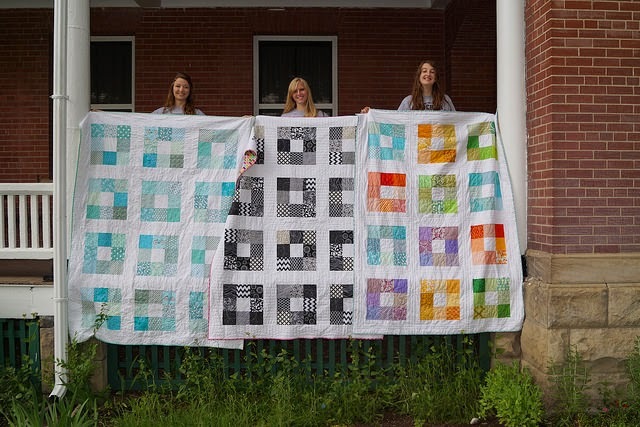 Your three quilts are really cool, well done!